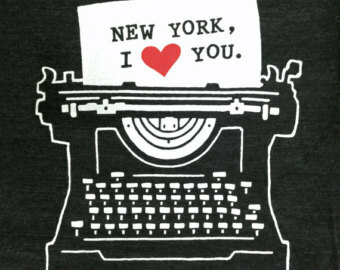 “One belongs to New York instantly, one belongs to it as much in five minutes as in five years.” -Tom Wolfe. I passed out on a bathroom floor in upstate New york and woke up in a Hospital near my parents house in Michigan. A distance of 650 miles from the place that I called home. Needless to say I was swimming in a sea of hopelessness and loss. I had been unfortunate enough to have had a massive stroke, which nearly killed me and was seemingly making my dreams of returning to my beloved city all but impossible. Suddenly the idea of time passing terrified me. With each new day rather than look at the possibilities I thought of all the things I missed or was missing out on. As far as I was concerned the prime of my life had been stolen and was getting spent sitting in waiting rooms, at a therapy, or in Doctor offices. Recently I had the chance to go back and visit my old neighborhood of Astoria Queens. Rather then saying “goodbye,” as my Mother suggested I chose to say “See you later.” Luckily I found that not much had changed in the neighborhood, which quelled my fears of the world changing drastically without me to be a part of it. I was somewhat apprehensive before the day of visiting arrived, mostly because I was worried I would become very sad. However, once I had arrived there everything was as I remembered and thus it was actually comforting. All the time I spent living in fear of missing out was dashed. I chose to use this visit for motivation rather than defeat. I navigated the neighborhood easily(as I know it!) and arrived to a dinner with close friends.